During intensive training in first aid for the victims of traumatic injuries, I was struck by what may be a forgotten feature of the Sparta’s culture of silence – its utility on the battlefield. The Spartans allegedly disdained blood-curdling calls, shouted insults and the beating of spears on shields. Reportedly, Spartan troops remained silent during advance and during an engagement. There are a number of good reasons for this, not least of which is the ability to hear the orders of officers. Nevertheless, as a footnote, I would like to suggest that it may also have had practical medical benefits as well. The training I took focused on providing first aid to trauma victims in an environment without medicine, medical technology or specialized first-aid kits. It was heavily informed by recent military experience in Iraq and Afghanistan. While the causes of battlefield injuries have changed dramatically since the age of Sparta, the result – severed limbs, massive hemorrhaging, life-threatening puncture wounds and crippling fractures – would have been familiar to any Spartan ranker. Astonishingly, despite all the advances in modern medicine, the appropriate first response probably has not changed much in two and a half millennia. This is where Sparta's culture of silence might have proved particularly useful – if it was one reason for evolving it in the first place. In warfare, serious casualties are inherently traumatic, which means the victims inevitably suffer from shock and hypothermia. Both conditions worsen, if a patient is agitated and unable to keep still. If, on the other hand, a victim has been trained to remain still and silent, then they have a better chance of also remaining calm and preserving rather than squandering their strength, blood and breath. Furthermore, it appears (but I would welcome a medical opinion on this!) that the human body produces natural pain-killers in situations of extreme trauma, but these are more effective if adrenalin levels remain low. Thus, developing behavior that reduces or shortens the period in which adrenalin is pumped into the body, may increase the speed with which natural painkillers are released into the bloodstream. A culture of calm and silence might literally have helped Spartans to experience less acute pain when dealing with battle wounds. If the level of pain experienced by the victim is reduced, it becomes easier for comrades to treat and transport them, which in turn dramatically improves the victim’s prospects for survival. In addition, the collateral trauma to the men around the injuried would have been reduced with corresponding benefits for battlefield cohesion and effectiveness. In short, Sparta’s culture of silence very likely had concrete military – and medical – benefits, which reinforced the need for teaching and fostering it. No, this is not about Thermopylae. This is about Leonidas’ entire military career. First and foremost, Leonidas was one of the few Spartan kings, who was a professional military man. Unlike the Spartan kings before and almost all the Spartan kings after him, Leonidas “enjoyed” the complete program of military training imposed on Spartan citizens from boyhood through ten years of active service, and a lifetime in the reserves thereafter. Thus, Leonidas was one of the only Spartan kings as familiar with every formation and drill employed by the Spartan army as his troops, and as adept with the use of weapons as his fellow citizens. Equally important, having been an ordinary ranker, he knew exactly how they thought, felt and reacted. Leonidas was as much a soldier as he was a commander. This was a significant advantage. It was what made other famous Spartan commanders like Brasidas and Lysander effective as well. Nor was his experience confined to the drill-field. Although Sparta in the late archaic was not a city perpetually at war (as readers of Steven Pressfield’s novel Gates of Fire can be forgiven for believing), in Leonidas’ lifetime Lacedaemon was engaged in a number of significant military campaigns. Thus while Leonidas never fought the more than 20 campaigns Pressfield fantasizes about, he would have gained second- or first-hand experience from a significant albeit limited number of wars. First, when Leonidas was still a child or youth (depending on his date of birth), Sparta made an unsuccessful attempt to drive the tyrant Polycrates out of Samos. Notably, this required deployment of a considerable force by sea and involved a forty day siege as well as an assault in which some of the Spartans managed to break into the city, but were then cut off and killed. The rest returned. The failure and the loss of life must have been traumatic for the proud Spartiates and so the topic of many discussions in syssitia across the city for years of come – probably with recriminations and a lot of “Monday-morning-quarterbacking.” Leonidas, as a young Spartan male, would undoubtedly have listened avidly to accounts of this campaign told by the veterans and to the critique of the others. Roughly ten years later, Leonidas’ half-brother Cleomenes undertook an invasion of Attica, again by sea. 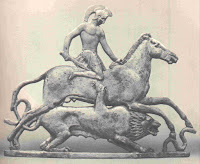 Once again, Sparta’s expeditionary force was defeated and driven back to their ships, this time by Thessalian cavalry. Leonidas was by this time very likely in his late teens, if not already a young man. Conceivably, he even took part in this expedition, but, if so, only in a subordinate capacity as an ordinary ranker. Whatever his age and role, Leonidas would have learned a valuable lesson, at least second hand, about the capabilities of cavalry and the advisability of not under-estimating it. Cleomenes undertook no less than three additional campaigns against Athens in the years to follow. In the first, he successfully dislodged the Athenian tyrant Hippias, but in the second, in which he sought to drive out Cleisthenes and restrict Athenian democracy, he found himself bottled up on the acropolis by the outraged Athenian masses and had to withdraw with his tail between his legs following a negotiated truce. Given the small and evidently informal nature of these first two campaigns (Herodotus suggests both campaigns were conducted with small volunteer forces), it is unlikely that Leonidas was an active participant in either, but, again, he would have heard a great deal about them second-hand. Burning from the humiliation of his second defeat, however, Cleomenes next called up the full Spartan army and the allies of the Peloponnesian league. Spartan law at this time, however, required both kings to command a full army deploying outside Lacedaemon, so Cleomenes was accompanied on this fourth campaign against Athens by his co-monarch Demaratus and presumably al active units. Demaratus was not as enthusiastic about invading Attica as Cleomenes – and nor were the Peloponnesian allies. Cleomenes’ army got as far as Eleusis, but there the Corinthians drew the line. They had no quarrel with Athens, and they refused to continue. Demaratus sided with the Corinthians. While the allied army disintegrated, the conflict between Cleomenes and Demaratus hog-tied the Spartan army as well. The Spartans had no choice but to return, undefeated but humiliated again. Leonidas was almost certainly present with the Spartan army during this last campaign against Athens. Depending on his date of birth, he might already have been a junior officer. Regardless of his military rank, as Cleomenes' half-brother and heir apparent, he almost certainly knew what was going on in the command tents, if not directly, then indirectly. While the campaign would have provided him with no combat experience, it would certainly have taught him a great deal about operations involving multi-national forces – a lesson that would be of great importance to him his later life. The next major military campaign in Leonidas’ lifetime was the campaign against Argos that culminated in the dramatic Spartan victory at Sepeia. This campaign certainly involved the entire active Spartan army, so Leonidas’ participation is certain. Significantly, it also contained a nautical component: the Spartan army was ferried across the Gulf of Argos from Thyrea in Lacedaemon to Nauplia in the Argolid. There followed a massive confrontation with the full Argive army that was at least as numerous if not significantly larger than the all-Spartiate force facing it. Although the Argives had learned how to read the Spartan signals, Cleomenes cleverly took advantage of this to mislead the Argives into thinking the Spartans were standing down for a meal. As soon as the Argive phalanx broke up, he attacked. 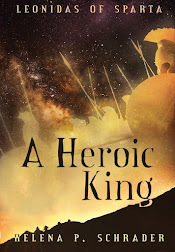 The ensuing slaughter allegedly deprived Argos of a generation of fighters, but Cleomenes singularly failed to follow up his battle-field victory with the occupation of the undefended city of Argos. The “lessons learned” for Leonidas would have started with the flexibility of deployment offered by seaborne transport, and included the importance of intelligence (the Argive familiarity with Spartan signals), and, of course, the advantages of surprise. Significantly, Cleomenes was put on trial for treason following this campaign. The accusation was that he had taken a bribe not to take Argos when it lay undefended before a victorious Spartan army -- probably because the prosecution could think of no other plausible reason why such a splendid opportunity would be wasted after over two hundred years of bitter hostilities. Herodotus specifically says that Cleomenes was charged by his “enemies” and that he was acquitted because he convinced the ephors that he could not get favorable signs from the gods. By this time, Lenoidas was probably already married to Gorgo, Cleomenes' daughter, and he was certainly Cleomenes’ heir. It is unlikely, therefore, that he would have been counted among Cleomenes’ enemies. It is almost equally improbable, however, that he approved of Cleomenes behavior. Cleomenes was acquitted of taking a bribe and he defended himself with weapons (the will of the gods) against which the ephors were helpless; that is not the same thing as saying his actions were applauded even by his supporters. Furthermore, Leonidas will have taken careful note of the fact that failure to exploit a victory – much less defeat -- put even a Spartan king in jeopardy. 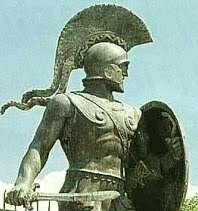 The next significant military engagement of Leonidas’ lifetime was one in which Sparta played no direct role and yet it may have been the most decisive military moment in Leonidas life prior to Thermopylae: the Battle of Marathon. In my entry “The Importance of Marathon for Sparta -- and Leonidas", I provide a comprehensive discussion of the importance of Marathon for Leonidas. To summarize, Leonidas very probably led the two thousand Spartiates, who in a dramatic forced march covered the distance from Sparta to Athens in less than three days to come to Athens' aid. They arrived one day after the decisive battle had been won by the Athenians and Plataeans. Leonidas almost certainly toured the battlefield in company with Athenian commanders and fighters, gleaning a great deal of information about the Persians, their weapons, armor, tactics and morale. He would also have gained considerable respect for Athenian (and Plataean) fighting capacity. Leonidas would have seen first-hand at Marathon that Greek hoplites could withstand Persian missiles and Persian cavalry and inflict dramatically higher casualties than they suffered. It would also have left a psychological scar: the sense of having come too late. And so we come to Thermopylae. Leonidas’ determination to deploy when he did, even if he could take only 300 Spartiates with him was, I believe, dictated by his experience at Marathon. Leonidas, who undoubtedly appreciated the military importance of Thermopylae and Artemisium, was determined not to come too late a second time. This is not the same thing as believing he was undertaking a suicide mission. Leonidas had no reason to believe that the force he took north was not sufficient to hold the Pass until Sparta and other cities, the Karneia and the Olympic Games over, could deploy their main forces. Leonidas did not, after all, march north with just 300 men. In addition to the Spartiates, he had perioikoi troops, allies from the Peloponnesian League, Thespians, Thebans and Phocians. Leonidas had between 6,000 and 7,000 Greek hoplites at Thermopylae, a pass that at that time narrowed down to a cart track at two places. To be sure, Leonidas allegedly knew from the Delphic oracle that his own fate was sealed. He presumably expected to die, but there was no reason to assume his death would come soon or that it would be futile. On the contrary, Delphi had promised to save Sparta, if one of her kings fell in battle. Leonidas most likely believed (or wanted to believe) that although he would die, his army would be successful. Nor did he expect all the Spartiates he took with him to die. The fact that he took only the fathers of living sons north with him was not because he expected them all to die, but because he expected some of them would die. He did not want to risk the extermination of even a single Spartiate family – not when he had so many men to choose from. Leonidas’ tactical competence at Thermopylae has been questioned primarily because of his failure to put Spartiates on the mountain trail by which the pass was turned. The argument is that he failed to accurately assess the risk to his flank/rear, and the positioning of Phocian troops on this critical route was amateurish. Hindsight is always clearer than foresight. But even with hindsight, it is not completely convincing that Leonidas should have risked splitting his already very small Spartiate force by sending, say, 100 Spartiates to guard what was essentially a goat-trail. Furthermore, one thousand men out of a force just six to seven thousand strong, represents a very significant commitment of available troops, and suggests Leonidas took the threat seriously indeed. To imply that a hundred Spartans would have been better than a thousand Phocians reflects modern fascination with the Spartan military myth, but can hardly be conisdered a serious military assessment. Leonidas’ evident assumption that the locals with the greatest stake in a successful defense of Thermopylae and the best knowledge of the terrain would be the best defenders of the flanking path is more convincing than modern dismissals of such logic. It is always tempting to judge a strategy by its result – but not always fair. Otherwise, Leonidas appears to have developed a highly effective strategy for defending the Pass, one that effectively neutralized the superiority of numbers on the Persian side and enabled a comparatively small number of defenders to hold the overwhelming might of Xerxes' army for two full days. Although – or rather because - Herodotus does not give us the casualties of the first two days, we can presume that they were not inordinate. 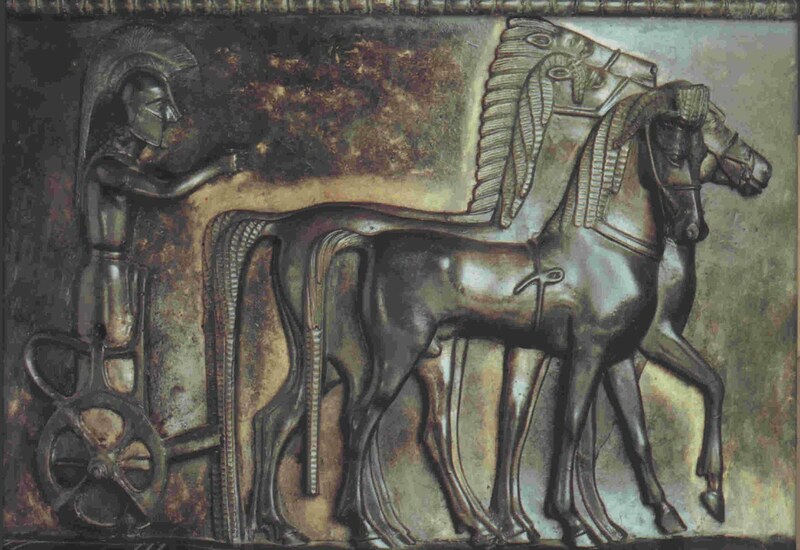 The strategy of defending the “Middle Gate,” which was wider than the “Eastern” or “Western Gates,” appears to have given the Greeks the optimal opportunity to reduce Persian pressure while enabling them to bring sufficient numbers of their own troops to bear. Significantly, Leondias evidently welded the different contingents together and succeeded in getting them to cooperate. Herodotus says that the allies fought in relays, or turns, so that the troops from each city had time to rest, refresh themselves and tend their wounds between taking their turn at the front. While this sounds logical and reasonable, it is far from self-evident. It would also have required considerable skill in execution – or each change would have produced confusion that the Persians could have exploited. Equally impressive is Leonidas' performance on learning that the Persians were not only on the trail around his position but the Phocians had already been routed without even sending for reinforcements. This news must have been a horrible blow to Leonidas, one he could not have expected. Yet the surviving accounts indicate that he did not panic, but made a difficult but rational decision to send the bulk of the troops out of the pass to safety so they could "live to fight another day," while retaining a force large enough to delay the Persians long enough for the bulk of the army to get away. Leondias' stand at Thermopylae on the Third Day of battle was certainly a suicide mission, but not a senseless one. It was no different than the stand of the Brigadier Claude Nicholson with the 3rd Royal Tank Regiment and the Queen Victoria Rifles at Calais in 1940. Nicholson defended Calais on the orders of Prime Minister Churchill "to the last" in order to pin down the Wehrmach and enable the evacuation of the bulk of the British Expeditionary Force at Dunkirk. Both Calais 1940 and Thermopylae 480 were military operations of vital importance to the survival of the nations the sacrificed troops were defending. Again Leonidas showed his competence as a military leader precisely in the fact that even in a hopeless situation he was able to inflict terrible losses on the enemy and maintain the morale of his own troops. WIth the exception of some -- but not all -- Thebans, Leonidas' men fought to the death. And they fought for him. There can be no greater tribute to a military leader. Herodotus rightly stresses the refusal of the allies to accept Athenian command, and this undoubtedly had historical reasons. Athens was not a significant sea power in the 6th century BC, and it did not build its massive fleet until after the discovery of silver in Laurium in 483 BC. In short, in 480, Athens was a parvenu naval power. The naval powers of the 6th Century, Corinth and Aegina, both had good reason to be wary of Athens. Aegina and Athens had been involved in an undeclared war for more than a decade, while Corinth and Athens were manufacturing centers that increasingly competed in trade. It is not, therefore, surprising that these and other cities rejected Athenian leadership. Noteworthy is that they wanted a Spartan commander. After all, Corinth provided the second largest contingent of ships (40 triremes) and four-times as many as Sparta’s modest if respectable contribution. Corinth, with a long history of naval power and such significant number of ships, could have claimed command for itself. That Corinth instead requested a Spartan commander cannot be dismissed as mere subservience to Sparta. Corinth was the city that had forced Sparta to break-off an invasion of Attica and ended Sparta’s ability to take the Peloponnesian League to war without the consent of all members. Corinth was an ally of Sparta, not a vassal-state or satellite. That Corinth joined other allies in insisting upon a Lacedaemonian commander, therefore, suggests that the demand was more than anti-Athenian and not merely pro-Spartan; it indicates that Sparta was considered a naval power capable of providing competent leadership at sea. We know that Sparta conducted a campaign against Samos in the last quarter of the 6th Century which required considerable naval power in the form of transports and fighting ships to defend those transports. In addition, Cleomenes’ first attempt to depose the Athenian tyrant Hippias also entailed naval capability since the Spartan task force was landed at Phalerum. Theoretically, these earlier naval expeditions could have been conducted with perioikoi ships and crews, but Herodotus explicitly tells us Eurybiades was Spartiate. Furthermore, in Herodotus’ list of ship contingents to the battles of Artemisium and Salamis, he makes a notable distinction between ten “Spartan” ships at Artemisium and sixteen “Lacedaemonian” ships at Salamis. This implied that ten ships were financed and at least officered by “Spartans,” whereas the sixteen ships at Salamis included an additional six ships provided and manned by perioikoi. Significantly, one year later, King Leotychidas led a naval expedition, demonstrating that naval command was not ipso facto beneath the dignity of Sparta’s kings. 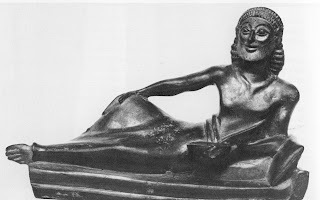 In short, at least some Spartiates at the start of the 5th century BC, most notably Eurybiades, had obtained naval experience and demonstrated competence at sea. Contrary to popular opinion, there is no evidence that Eurybiades was a mere figurehead. While Eurybiades was not originator of the winning strategies (all of which are attributed to Themistocles), Herodotus makes it clear that Eurybiades support was essential for the implementation of Themistocles plans. Eurybiades commanded enough respect to be obeyed once he made up his mind, which would not have been the case if his position had been purely nominal. The two instances in which Eurybiades opposed Athenian wishes/suggestions highlights his very real power. At Salamis, the position of greatest honor was given to the Aeginans, to the disgruntlement of the Athenians. While Athens had every reason to feel that they deserved pride of place because they provided half the fleet and had lost their city, Eurybiades’ decision was the right one for the commander of a multi-national force. Athens was going to fight regardless, but Eurybiades had to retain the loyalty and morale of the smaller contingents that resented Athenian dominance. Aegina’s was an important naval power with a significant contingent of triremes. 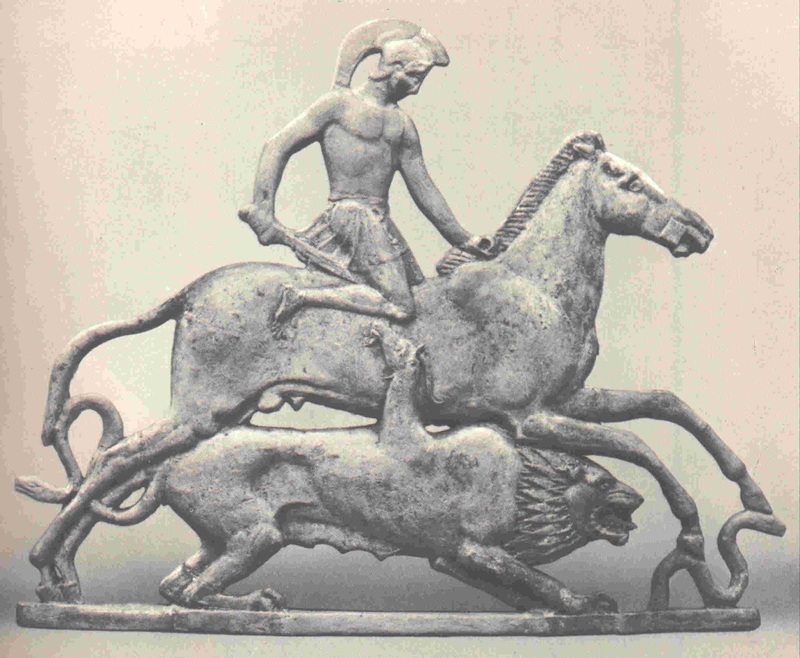 By honoring Aegina, Eurybiades effectively prevented the smaller allied contingents from falling away or losing heart at a very critical moment. Even more significant is Eurybiades’ role in preventing a fool-hardy destruction of Xerxes’ bridge across the Hellespont. The Persian fleet withdrew across the Aegean after the battle of Salamis. The victorious Greeks, waking up on the day after the Battle to find the Persian ships gone, gave chase. They reached the island of Andros without even catching sight of their quarry and stopped to consult. Themistocles at once proposed sailing north to destroy the bridge across the Hellespont by which the Persians had entered Greece and would need to retreat. Eurybiades wisely pointed out that trapping the undefeated Persian army in Greece was the last thing that the Greeks wanted! (This was before the battle of Plataea, and Persian land forces were only marginally weakened by the brief delay at Thermopylae.) Without an escape route, the Persians would have no choice but to lay waste to all Greece, using their superior numbers to slaughter everything in their path. The fact that Themistocles could even suggest such a course of action will not have endeared him to the men from cities other than Athens that had not already been raised to the ground. Certainly, Eurybiades was supported by all a majority of those voting and the plan was abandoned. This was Eurybiades last significant act. Herodotus records that he was honored, along with Themistocles, in Sparta for his role in defeating the Persians at sea. Then he disappears from history. So what do we know of him? In Herodotus, Eurybiades serves primarily as a foil for Themistocles. Themistocles is the intriguer. He is constantly seeking and taking bribes, he sends secret messages to Xerxes, he takes credit for ideas that are not his own. Themistocles is depicted as a brilliant tactician and a gifted orator (something Athenians particularly admired), and he saves Greece. But as Herodotus portrays him, he is a shady character nevertheless. 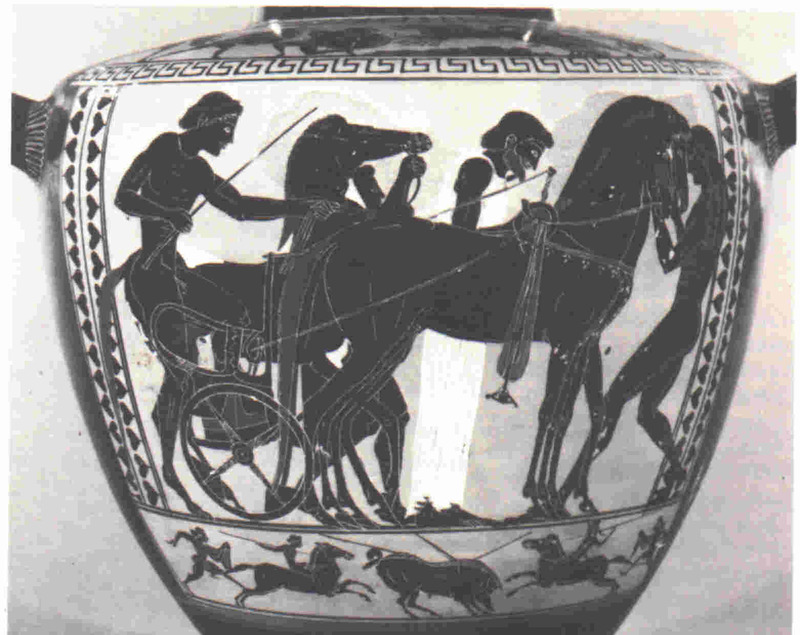 Beside Themistocles, Eurybiades is an almost featureless shadow. At Artemisium, Herodotus claims he took a bribe from Themistocles to stop him from ordering the fleet to withdraw. Yet according to Herodotus, Themistocles was himself bribed by the local inhabitants. Given the fact that this was at the very moment when Leonidas was making his unequivocal stand at Thermopylae, I personally find it almost inconceivable that Eurybiades ever considered retreat. After Thermopylae fell and Artemisium was militarily worthless, yes, but not before. Some of the other contingents might have been in a panic (so were many of the other Greeks who fought with Leonidas) but Eurybiades is unlikely to have any less steadfast that Dienekes and company. In short, like Themistocles himself, it seems more likely he took the money but never had any intention of retreating anyway. Otherwise, Herodotus depicts him diligently consulting with the commanders of the various contingents, calling conferences to discuss the course of action, and hearing everyone out before taking a decision. He appears to have been scrupulously respectful of the independence and rights of all the allies, and to have kept Athens from diplomatically dominating the alliance. Once a decision was made, however, he acted decisively and commanded the respect of all involved – including the Athenians. His performance at sea is not singled out for special praise, but he positioned the Lacedaemonian ships in the middle of the line, where, as admiral, he would have the best overview. The fact that he disappeared from history after this short moment of glory in 480 hints at one last characteristic: Eurybiades was no Pausanias and no Lysander, who turned his military success into a political agenda. He appears to have faded again into the anonymous ranks of the Spartan line, but his successful foray into history suggests that Sparta had greater naval competence than is widely recognized and foreshadows Sparta’s victory over Greece’s greatest naval power a half century later – at sea. 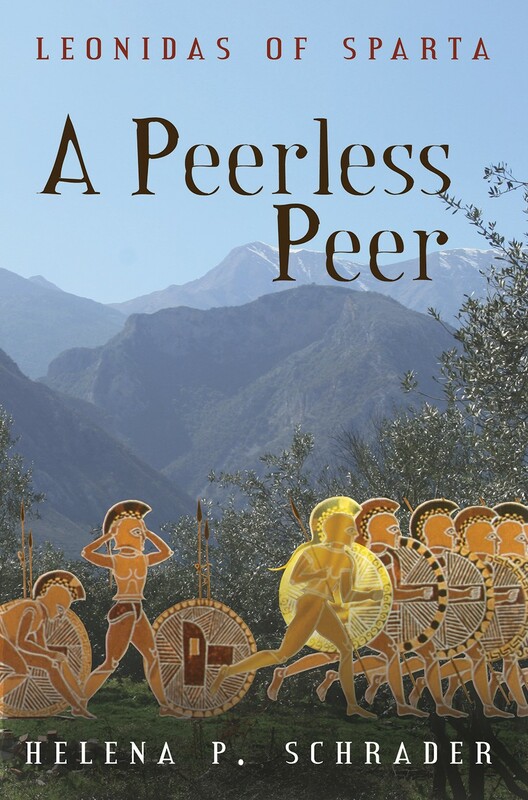 A Peer Review of "A Peerless Peer"
Many of you may be familiar with Jon Edward Martin and his excellent novels set in Anciet Greece. Because he is a colleague, I especially value the following review of Leonidas of Sparta: A Peerless Peer that he posted on amazon.com. Most novels (and motion pictures) dealing with Sparta dwell mostly on the military aspects of this strange society, and rightly so--Sparta may have arguably produced history's most formidable soldiers. Helena Schrader's "A Peerless Peer" takes a different tack. Schrader's approach is to create a story rich in the detail of relationships, from the inevitable rivalries between the Royal houses to the more mundane lives of the Spartan state serfs known as Helots. 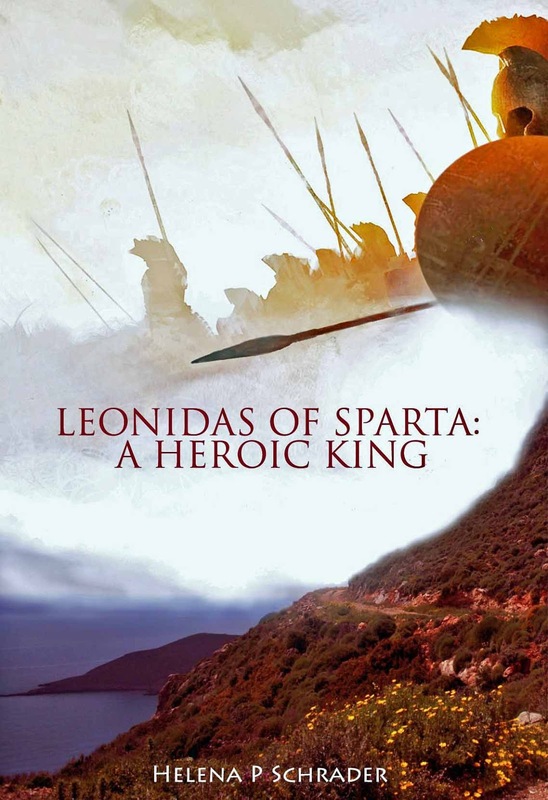 Leonidas, the future king and hero of Thermopylai, is the main character. 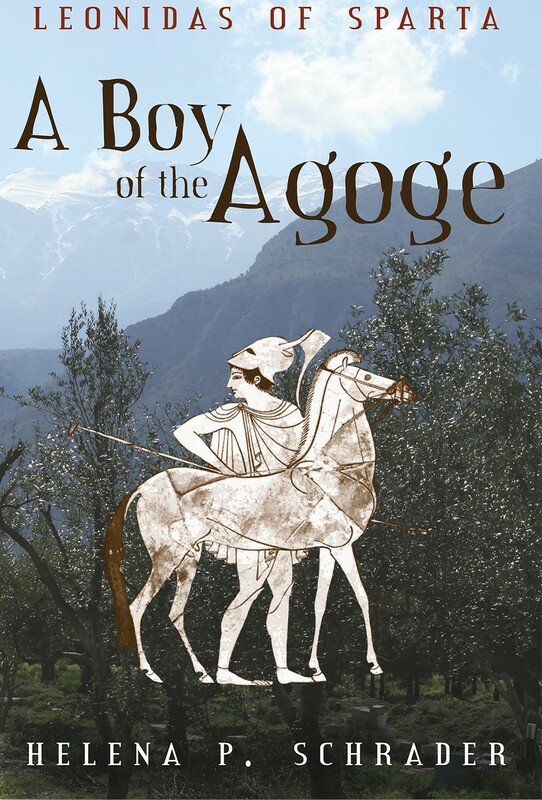 The novel (second in a trilogy) follows his life after he becomes an adult in the Spartan army. In intricate and at times speculative detail, Schrader builds a very human portrait of this legendary king while contrasting him with his brothers, especially his twin Cleombrotus. Through a myriad of experiences and interactions, Leonidas' character is built, layer upon layer, revealing his altruism, courage and personal integrity in a society where virtue was the ultimate measure of a man. The character of Gorgo, his future wife, is developed as richly as Leonidas. She is precocious, headstrong, intelligent, and a driving force in the story. 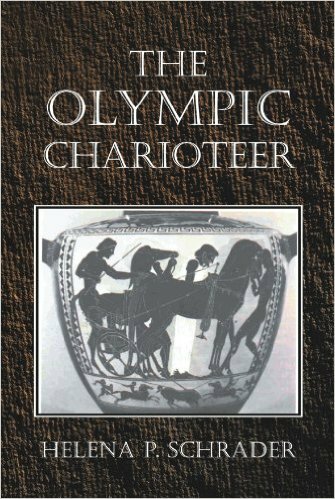 All the other players of the era are addressed from Cleomenes to Aristogoras, adding a Herodotean authenticity to the novel. 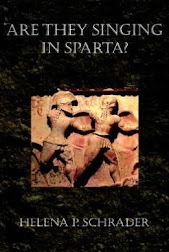 This is a highly recommended "must read" for anyone interested in ancient Sparta. 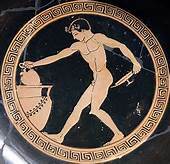 If this was the nature of Spartan cuisine, Spartan children could grow strong and Spartiates grow old on it -- and never even notice how “deprived” they were.